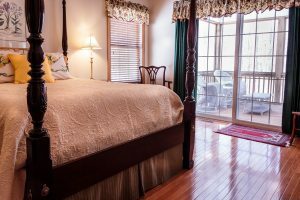 While hardwood floors are beautiful, durable, and add a lot of value to a home, many people tend to hesitate to commit to hardwoods. Hardwood floors have a reputation of being high maintenance, and that doesn’t resonate well in a household where both parties are working full-time, and children or pets are apt to make those adorable messes. One of the biggest complaints we hear is how shiny hardwood floor become dull and dingy after a period of time. Accepting that the finish on hardwood floors won’t last forever is the first step in bringing back the shine. Let’s get started on learning how to bring back the shine to your hardwood—without using those toxic chemicals! While you may not have time to sweep your floors daily as recommended, we advise to at least complete a quick sweep through three times a week in entryways and heavy traffic areas. A good rule of thumb to keep from sweeping your floors all the time is to have a no-shoe rule! Shoes go everywhere and it’s best to take them off as soon as you get in the house and either walk around barefoot or in slippers that have never stepped foot outside your home. Keeping up with your sweeping will allow for less usage of chemical cleaners on your floor. Once a week, we try to mop our floors with a soft cloth mop. Low-traffic areas require less frequent mopping, but those unavoidable heavy-traffic areas are the biggest concern, so make sure you’re mopping those areas four times a month. White Vinegar and Vegetable Oil Work! If you combine equal parts of white vinegar and vegetable oil in a spray bottle and spray your floor with it, you’ll be able to create a nice shine to your floors once mopped. This is a natural way of cleaning your floors and allows for you to avoid harsh chemicals that actually create more damage to your floors. The vinegar removes the dirt while the oil helps condition the wood so there isn’t a drying out period. Note: mix the cleaner fresh each time you clean your floor so you’ll know the oil isn’t rancid. Hardwood floors do require a bit of maintenance, but with a few small steps, it doesn’t have to become a deal-breaker. Combining these helpful methods with basic daily maintenance on your own will help keep your hardwood floors long-lasting for years. If you think you need your hardwood floors refinished because they are looking a little dull, we are happy to talk to you about your options. We are one of the few companies able to refinish laminate flooring as well, so don’t worry if you don’t have true hardwood; we’re still here for you. Give us a call today or contact us online for more information!